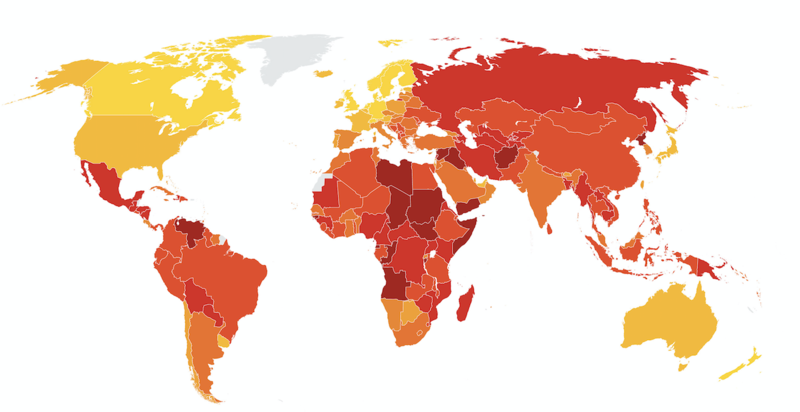 What Does Australia’s Orange Ranking in the Corruption Perception Index Actually Mean? Transparency International (TI) has released its 2018 Corruption Perception Index (CPI). Australia is highlighted as one of the “decliners” although its score remained the same (77) as last year. If one looks further into the details, it even seems Australia’s score has not changed much in the last four years (79 in 2015 and 2016, and 77 in 2017 and 2018). The 2018 index places the country at a very notable 13th position in the world, between the UK and Austria. Why then, is there such concern about corruption in Australia? First, it depends who you ask. The CPI has as many detractors as supporters. Governments around the world hail the index when it shows improvements and dismiss it when it does not. Academics are always fairly cautious about its relevance and there is a general agreement that year-to-year changes are not statistically relevant. However, the temptation to create news from annual changes is always there. Also, some countries do place significant importance on the CPI: in Indonesia improving its CPI is part of a declared policy. Transparency International has been running the CPI since 1995. In 2012, TI overhauled its methodology in order to make the results comparable from one year to the next. This means that any analysis of the results across time using data from before 2012 is mostly useless and scientifically flawed. For this reason, any evaluation of Australia against the CPI can only extend over the last seven years, i.e. the Gillard (2010-2013), the Abbott (2013-2015) and the Turnbull (2015-2018) governments. Taking this into account, the graph of these seven years paints a fairly negative picture for the fight against corruption in Australia. A decrease of seven points seems to be more than statistical noise, although this can’t be excluded. The CPI score is constructed through the aggregation of the views of expert panel assessments, and here is the first trick not often explained: TI does not run any evaluation itself. It only acts as a compiler of existing information on corruption assessments developed by other organisations. 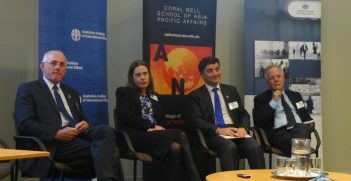 In the case of Australia, the CPI score used expert evaluations from nine sources who answered questions such as, “To what extent are public officeholders prevented from abusing their position for private interests?” These surveys are conducted by other entities such as the World Bank, the World Economic Forum, the Bertelsmann Foundation and the Economist Intelligence Unit. In this sense, TI can only be accused of how much value it gives to each source, i.e. the weighting, but not for the evaluations themselves. Expert panel evaluations are always contentious. They are often used when there is a need to evaluate an event where direct data is incomplete, not available or corrupted. In general, their reliability is limited and can easily be biased, particularly when there is a limited number of experts and they have similar backgrounds. However, it may be an acceptable solution to the well-known problem of “the dark figure of crime,” i.e. the challenge of measuring criminal activities, aptly named after a seminal 1967 article. In many ways, measuring corruption is a matter of faith. Corruption can be subjective and can measured in many different ways. Is Hong Kong as exactly corrupt as Austria, as their equal scores of 76 seem to suggest? In practical terms, TI’s CPI is a way to work with what we have. If we cannot measure corruption directly, measuring “perceptions of corruption” – as the CPI aims to do – may be as close as we can get to measuring something which can be interpreted in many different ways. To its credit, the CPI correlates well with other indices such as the World Bank’s “Control of Corruption” and, more importantly, with surveys of actual experiences of corruption. Hence, its reliability. The TI explicitly notes the CPI does not measure many activities which could be understood as corruption in a broader sense. Notable exceptions include: money laundering; failures to investigate national companies when implicated in paying bribes abroad; and hosting “secrecy jurisdictions” which help foreigners avoid paying tax in their respective jurisdictions and the corrupt to move and launder their dirty money. If this was taken into account, certain countries with high rankings – such as Singapore, Switzerland and the UK, as well as less usual suspects such as Denmark, Finland and Sweden – would definitely see their final score much lower. In the end, the CPI only focuses on public-sector corruption. If such exclusions were taken into account, Australia may not score much better. 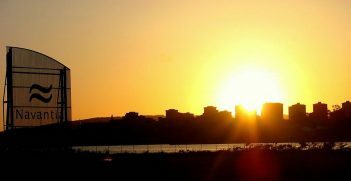 Australia has significant flaws in its regulation of the real estate market, which opens an easy avenue to launder foreign money. Until 2018, Australia had only seen two successful prosecutions for foreign bribery. The most famous case, involving two state-owned enterprises, closed in 2018 with no prosecutions made in Australia. Even from a statistical point of view, certain high-risk sectors like mining, should be closely monitored in a country which may have as many as 300 mining companies operating in Africa. But, again, these flaws are not reflected in the CPI, although in the case of mining, as TI has noted, even the domestic system for mining approvals opens itself to corrupt practices. So why has TI singled out Australia? Probably because this kind of decline only happens when there is a climate of tolerance of certain corrupt behaviours. In terms of CPI scores, it may matter less the absolute number of corrupt practices than the lack of adequate response when these are revealed. New Zealand—ranked 2nd in the world in the 2018 CPI—is a good illustration of this. It goes as far as to provide detailed information of all instances of fraud reported and the fraudsters motives. Seeing the glass half full, one can say that cases of petty bribery are extremely rare in Australia. Which may justify a perception by the average Australian of the absence of corruption, and determine a positive overall score. However, experts may have noticed a lack of political will to take certain final steps. We can look for example at the self-imposed pledges of the Australian government at the 2016 London Anticorruption Summit. Only one of seven commitments has been enacted: the creation of an International Anti-Corruption Coordination Centre, actually established by the UK, which Australia has just joined. 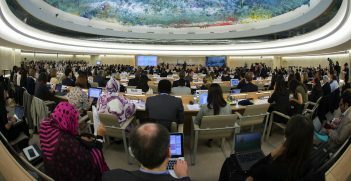 New Zealand, in contrast, has only one inactive commitment and none that are overdue or have been dropped. As the necessary measures to avoid or discover grand corruption are not being implemented and, worse, not even discussed by Australia, millions of dollars could be being paid in bribes and kept hidden from the public eye. The establishment of the toothless federal anticorruption watchdog announced last December will not change much on this front, but will at least be a sign of increased interest in the issue. As the CEO of TI Australia mentioned last week during the presentation of the 2018 index, there may be a window of opportunity now to change the perception that Australian politicians do not care much about corruption. Let’s hope this is the case. José-Miguel Bello y Villarino is a member of the Diplomatic Corps of Spain (currently on leave) and a PhD candidate at the University of Sydney. His last posting was as Deputy Head of Mission in Islamabad and he has previously been posted to developing countries in Central America, Western Africa, Eastern Europe and Southeast Asia. His research interests span multiple areas of international law, where he utilises the double lens of practitioner and theorist. An ABC documentary exposing China’s political interference in Australia did little to question the effectiveness of Australia’s foreign intervention laws.